HALLOWELL, Maine — Republican Gov. 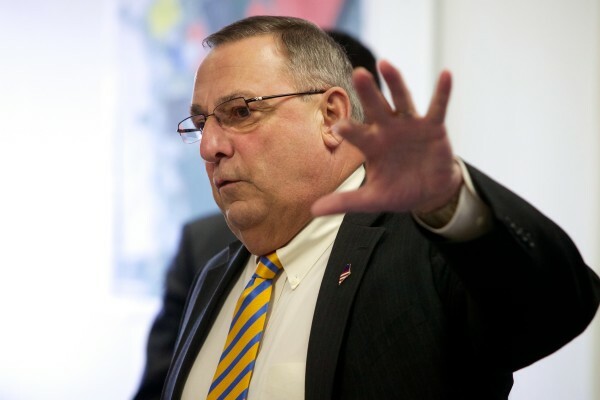 Paul LePage on Thursday bemoaned what he described as agenda-driven young lawmakers and said the state should do away with legislative term limits. Maine is one of just 15 states with legislative term limits, according to the National Conference of State Legislatures. The law was passed in 1993 — part of a brief nationwide trend toward limiting legislative tenures. Almost 68 percent of voters chose to limit lawmakers to four consecutive two-year terms in either the Senate or House. The law was retroactive, and in 1996, four state senators and 26 state representatives were among the first in the nation to be termed out of office. Six other states enacted term limits around the same time as Maine but have since repealed them. In Maine, there is no limit on how many times a politician can switch between the two chambers, leading some termed-out lawmakers to simply seek — and often win — office in the other chamber. Mills said the problem with short term limits in the House is that they make lawmakers feel rushed. At the time of the referendum in 1993, the law was widely seen as an effort to oust longtime Speaker of the House John Martin, D-Eagle Lake, from office. Martin had served in the Legislature since 1964 and had been speaker since 1975. Martin came back to the Senate in 2000, where he served four terms before moving to the House in 2008. He served two terms in the House before being defeated in 2012, but he has plans to run for a House seat once again this year. LePage mentioned Martin, the reluctant poster-child for term limits, saying he missed the powerful Democrat’s knowledge and experience in the Legislature. “He was experience. He had knowledge. He knew what worked and what didn’t work, and I never saw John deliberately do something that would hurt our state,” LePage said. Efforts to tinker with legislative terms and their limits have come in fits and starts since the law was passed: In 2007, an effort to extend the limit from eight years to 12 was defeated first by the Legislature and then by voters. Last year, Rep. John Schneck, D-Bangor, proposed a referendum to lengthen terms from two years to four, doubling the number of consecutive years a lawmaker could serve in either chamber. The House passed an amended version of the bill that extended terms but kept the eight-year limit. However, the measure died between the chambers. A 2004 report by the University of Maine and NCSL noted an increase in bills submitted, many of them characterized as attempts to “reinvent the wheel,” probably due to a lack of experience by new legislators. It also alluded to an outsized influence of lobbyists and nonpartisan staffers, who often have more experience under the dome than many legislators. LePage made the comments during a speech at the annual Environmental and Technology Council of Maine summit at the Maple Hill Farm conference center in Hallowell. The governor discussed the need to lower energy prices to make Maine more competitive and touted work with the other New England governors to build new energy infrastructure. He also championed his proposal to utilize more state timber land and use the profits to boost energy efficiency.